It's never too early to start speculating about the Academy Awards! Especially after it was announced that Seth MacFarlene is on presenting duties. If you read our post in the summer on the Cannes Film Festival, you'll know that this movie was awarded the Palme d'Or for best film, so it was probably an Oscar prediction back then. Nonetheless, it's now set for a November 16th release nationwide in the UK so in a few weeks opinions will be formulated! The movie is being shopped as "a film about the extraordinary strength of love." 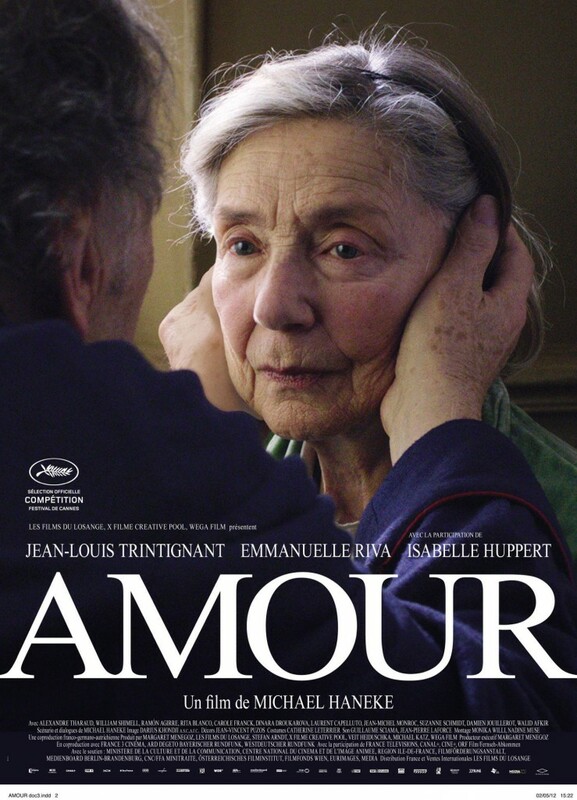 It's directed by Michael Haneke and stars Jean-Louis Trintignant, Emmanuelle Riva and Isabelle Huppert. Keep an eye out for this at a cinema near you so you can get a head start for Awards Season. Don't know about you, but we're starting to get very excited! Have your say: Any more obvious predictions or is it too early to say? You know where to comment!